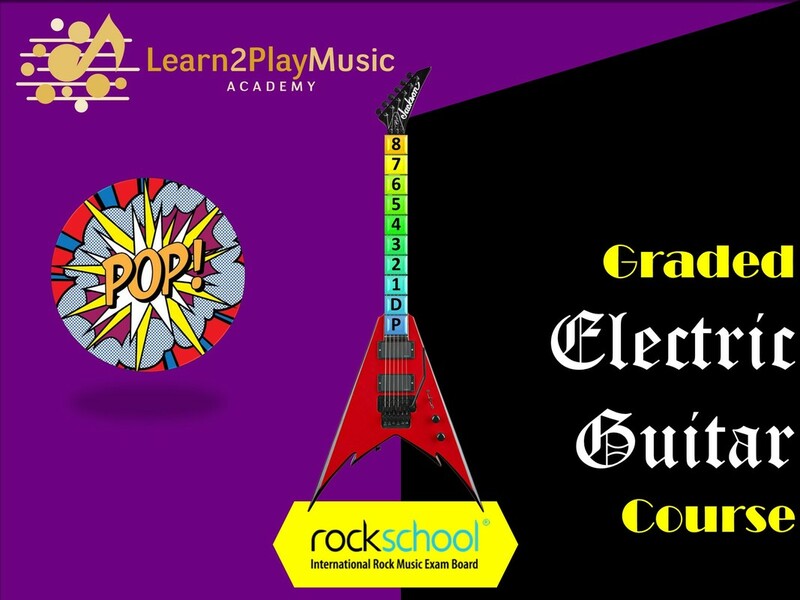 Learn 2 Play Music Academy offers Graded Electric Guitar course to teenagers and adults that aspire to be rock and pop guitarists. Register for our internationally recognised Graded Electric Guitar course today! Students are prepared for Graded Electric Guitar examinations of Rockschool Limited (RSL). Rockschool qualifications are fully accredited by every UK regulatory body. They also work with some of the best music and comtemporary art schools, colleges and institutions across the world. Rockschool's Guitar Grades are designed from the ground up to take you from absolute beginner to pro-grade player. As well as earning an internationally recognised qualification, you'll master music theory, learn sight reading and develop proficient technique by focusing on your favourite music.